The Debating Society of India, has been established to raise standards of Debate and Oratory in India. 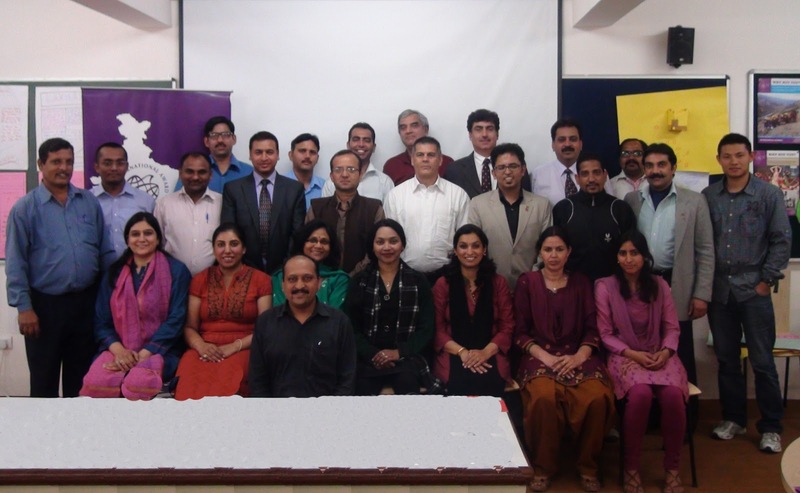 The DSOI previously organised an India - Pakistan Debate in January 2013 which was broadcast live on Headlines Today. Dr Shashi Tharoor moderated while the teams consisted of Najam Sethi, Shoma Chaudhary, Mani Shanker Aiyer, Salman Haider, Salman Raja, Javed Jabbar, Wajahat Khan and Kabir Bedi. Now, the DSOI in partnership with The Debating Society of Pakistan, is organizing the first ever schools debate competition, featuring a cross section of the leading schools of India and Pakistan. The participating schools from India include Vasant Valley and Shri Ram School from Delhi, Cathedral and John Connon and Dhirubhai Ambani International from Mumbai, Doon School and Mayo College from North India and La Martiniere Boys and Assam Valley from the East. Pakistan is bringing their Under 17 national champions, as well as Karachi Grammar School, Aitchison College and Lahore Grammar School. These bright and talented young minds will lock horns during a tournament that will run from April 2 to April 4, with the finals at the Siri Fort Auditorium. DSOI has invited 20 Award Participants for the final debate on 4th April 2013. Interested schools may contact Mahima (secretary@debsocindia.com) for more details. We set out on the much awaited IAYP adventure camp along with 20 of my friends from Grade 9 to have fun and relax in nature's lap from 22nd to 24th February 2013, at the picturesque Kalakund, about fifty kilometers from Indore. We reached the camping site just after noon, having had lunch en-route and got busy pitching our tents and chilling for a while. The cool, fresh breeze was refreshing and enthused us for the 'Zip line adventure' that was scheduled next. On return, we got down to lighting the fires for the delicious supper of "Khichdi and Maggie". How delicious tasted the food which we had cooked all by ourselves! For many of us it was our first attempt at cooking and we now know how much effort and patience even a simple meal demands. Tired and fatigued, we retired to our tents and slept like logs. The next day entailed a 6 km trek along the river, discovering and identifying the flora of the area. We were on seventh heaven amidst the untread grass, unspoiled greenery, the fresh air, pristine water and the chirping birds. Hungry for more adventure we indulged in 'Rappelling', 'River crossing' and 'Monkey-crawling' too. City life had taken its toll on us and all these activities tested our physical endurance and stamina to the hilt. The 'river-crossing and the 'monkey-crawling' gave us an adrenalin rush and scored highest on the excitement metre. The rushing water below us as we crossed the river was an inimitable experience worth experiencing. The exertive day was given a be-fitting finale by splashing for a cooling bath in the river. A sumptuous dinner of Dal, rice, vegetables and chapatis energized us for an evening of singing and dancing around the bonfire. Camp rules were strict and we went to sleep on time. The next day was spent striking our tents, packing and clearing the camp area, helped and guided by our seasoned teachers, Ms. Nida, Ms. Mona Shrivastav, Mr. Virendra, and last but definitely not the least, the Chairman of the school, Mr. Najam Jamal himself. The return trip was anything but uneventful. We stopped for some royal treatment -- a delicious Rajasthani feast at 'Chokhi Dhani' which was served by waiters dressed in traditional attire, to the accompaniment of live entertainment in the form of puppet show and colourful dances and the fatigue of the journey in no way came in between the students shaking a leg to the lively music. We reached Bhopal in the evening to beaming parents who were eagerly awaiting our return though all we wanted to do was set the clock back and wish time return to when we were boarding the buses for the trip, and make this a never ending adventure. 19 Award Leaders of 13 Youth Engaging Societies participated in the Award Leader Training Workshop organised by National Award Authority at The Doon School, Dehra Dun from 22nd to 23rd March 2013. The aim of the workshop was to spread the Award philosophy between the Award Leaders and to help them understanding the Award framework. Mr. Kapil Bhalla (National Director) started the Ice breaker session and briefed about the history of Award. This was followed by the sessions on each section of Award including residential project with the help of different activities. These activities in each section helped the Leaders to understand and find out the ways to convey Award philosophy to youth in the society. There was a Q&A session where the trainers answered all the queries of the Award Leaders. The training panel includes Bivujit Mukhoty (Programme Manager), Skand Bali (Head, National Training Panel), Meeta Sharma and Manu Mehrotra (members National Training Panel). Ishita Khanna (Gold Award Holder) detailed about the upcoming 3rd Spiti Gold Solar Bath Project and showed the work previously done by the IAYP Gold participants in last two years. Mridul Godha, a Gold Award holder from Mayo College, Ajmer has been selected for a full scholarship by the Oxford Royale Academy. He will attend Summer School at Balliol College, Oxford University from June 30 to July 13, 2013. We congratulate him on his success and achievement. 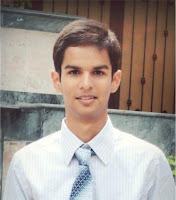 Mridul has been appointed as the College Captain (Head Boy) of Mayo College for the year 2013-14. Besides academic excellence, Mridul also has a talent for creative writing and is the Editor-in-Chief and founder of The Mayo Mail, the weekly newsletter of Mayo College, Ajmer. 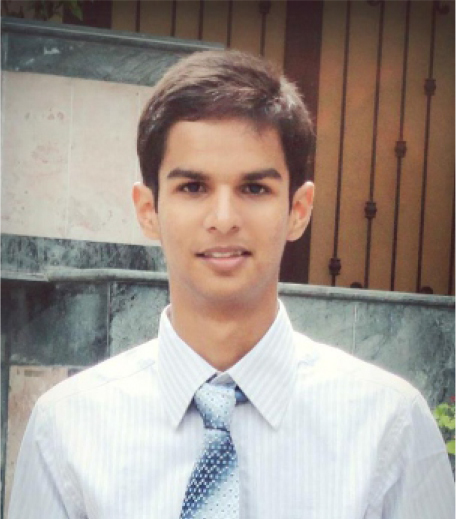 On this achievement Mridul says "The full scholarship award will go a long way in giving me an international exposure from one of the most reputed universities of the world, Oxford. Considering that Oxford Royale Academy's summer programmes are reputed and recognized around the globe, my experience at the Summer School will teach me many things as I will be studying with other students of my age from 92 nations. This opportunity goes beyond academics - I look forward to making friends, exploring London, punting, watching musicals and of course, learning the tricks of Business Management from the professors and students of the Oxford University itself!" Once again, International Award for Young People, India wishes him all success for his future endeavour. “The Beauty of the Mountain is hidden for all those who try to discover it from the top, supposing that, one way or another, one can reach this place directly. The Beauty of the Mountain is revealed only to those who climbed it..."
Mayo College Mountaineering & Trekking Club organised a trekking expedition to Beas Kund / Patal Su Peak (HP) along with 33 young trekkers and 4 teachers from 27th April 12 to 9th May 12. Trekking distance: - Approximately 65-70 Kilometers. Number of trekking days: - 7 Days. The very next day of our arrival at Manali, we left with the group of young trekkers after breakfast and proceeded to Rohtang Pass and enjoyed the snow over there. Post lunch the group visited the Atal Bihari Vajpayee Mountaineering & Allied Sports Institute. At night a brief on the entire programme and distribution of equipment was carried out. On 30th April 12, we left the hotel after breakfast & started our trek to Dhundi 9000 ft. A gentle walk along the bank of the river Beas and pitched the tents for overnight stay. Glimpses of Mt. Indrasan (6220m) and Mt. Deo Tibba (6000m) were obtainable from here. Post lunch a visit to the village of the youngest (woman) Everesteer of India was organized. The students tried to know how people live in a mountain village. In the evening knowledge about mountain terminology was imparted by two time Everest climber and our Guide, Mr Lakhpa Sherpa. Due to heavy snow fall over night, we had to change our schedule for the next day. After breakfast we left the camp and moved to Bakarthatch (shepherd fields) 07 km. From Dhundi – went up to the half way to Beas kund but had to return to Dhundi due to heavy snow fall and avalanche prone area. After tea a session on mountain sickness, hazard and tent pitching was organized by the experts. The group started the return trek to expedition camp 01 (Solang Village) after breakfast, packed lunch was provided for the long trek. On arrival XI class students organized tent pitching exercise for the group. In the evening an expert committee decided on the final selection of students who would go attempt to scale Patal Su Peak. After two hours of deliberations 15 students were selected for the final assault. Young trekkers along with Mr R Alfred , Mr Arvind Saxena and Mr Lakhpa Sherpa moved up for establishing the Advance Base Camp at the foot of Patal Su Peak. The group woke up at 2’O’ clock at night, made preparations for another one hour and by 3’O’clock the trekkers left the Advance Camp for the summit of Mt. Patal- Su Peak. The Team Mayo scaled the peak at about 0635 H in the early morning of 5th May 12. After successfully climbing the peak the Team Mayo returned to the Base Camp. Climbing Patal Su Peak and thereafter river rafting was a memorable experience for all of us. The members of Mayo College Mountaineering and Trekking Club would like to place on record the help and expertise rendered by our Principal, Bursar, Tour operator, Guide and accompanying Teachers. Our special thanks to Mr K Garg for providing the trekkers with high calorie chocolates and juices. To all parents from Delhi and near by areas who were so eager to treat the students. The venture would not have been successful without their help. To all of them our grateful thanks. In the end we would like to quote Kalidas - in on of his poem Meghdoot asks a cloud to act as a messenger and carry the message of love across the Himalaya to the beloved separated by the range. Mountaineers, be they in the foothills or standing on a high peak, are best attuned to listen to this cloud messenger. Their passion for the Nagadhiraj Himalaya, and their interaction with it, is what Mayo trekkers have recorded, not only as a measure of adventure but as their expression of love. 1. Amazing! Expedition schedule was like well – oiled machine that kept the schedule of activities running smoothly all the time. Well done Sir! 2. Super! Thank you Mayo College Mountaineering & Trekking Club for making our trip such a resounding success. 3. I wonder if it’s possible to imagine it all, if you are not there, and so would have missed the experience of a lifetime. 4. It was a constant challenge for six days of the trek to Patal Su peak to keep going and fighting through pain and other discomforts. The end result was worth everything we as a team put into it. Thank you M & T Club a million times for the ever cherishing memories. Kudos! 5. Out of the World - My expectations were totally blown away. 6. Great experience . Trek to Patal Su Peak has quenched my thirst of exploring nature . 7. I can say without hesitation that the trek to Patal Su Peak was by far the best trek I had ever undertaken. Thanks very much for an awesome time. 8. This was my 6th trek in Mayo. I believe wherever in the world one climbs, there is lingering desire to measure one’s ability and capacity against the highest of these mountains. The trek has given me immense faith in myself.